Colorful illustrations show major roads, landmarks, buildings and even the topography of some areas. 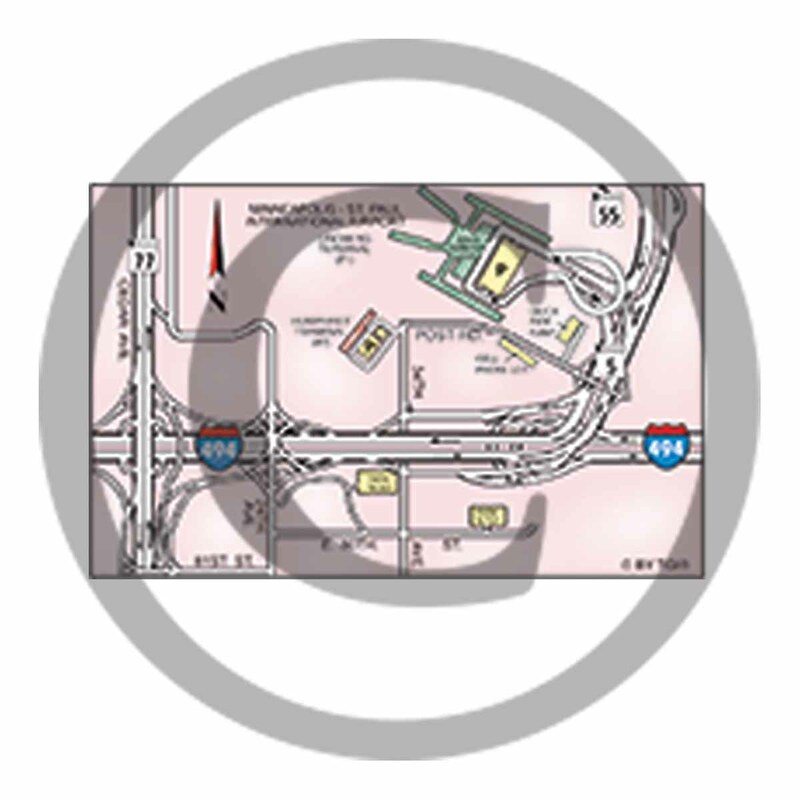 Overall map of the Twin Cities Metro Area, plus a detailed map of the Bloomington-Mall of America-International Airport area on one side. 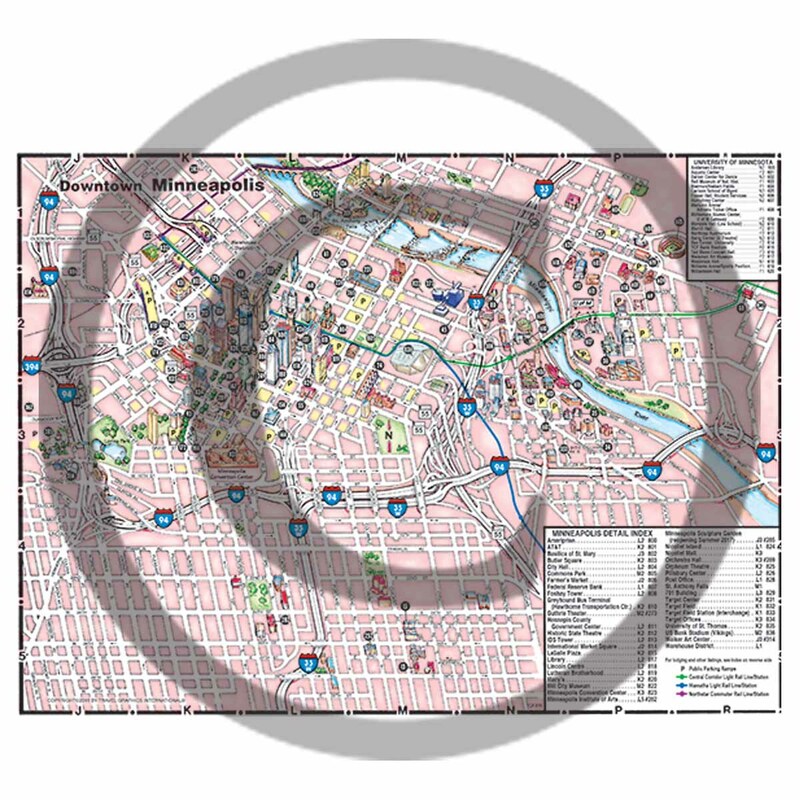 On the other side are detailed maps of the downtown areas of Minneapolis and St. Paul. Includes a comprehensive index of hotels, shopping, dining, points of interest, and more. 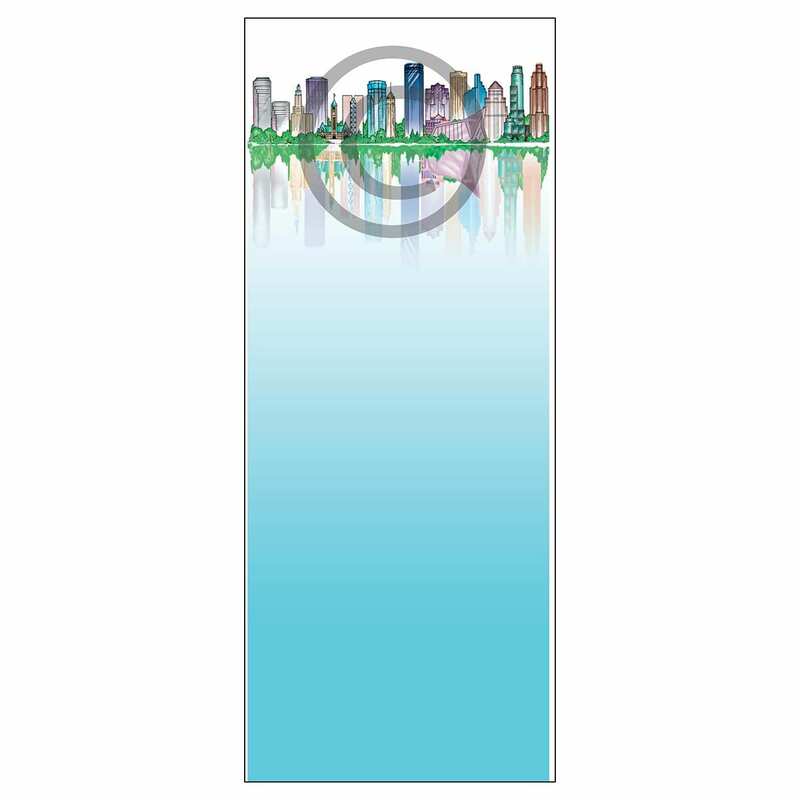 Folded to convenient “pocket” size of approximately 3 5/8″ x 8 1/2″. 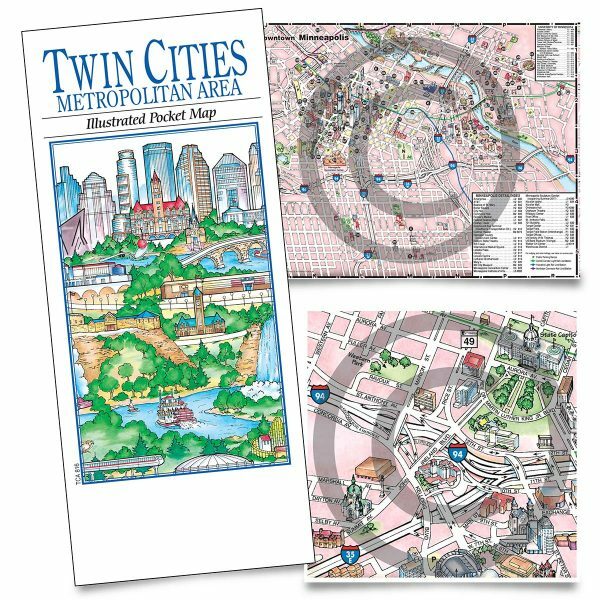 Our Twin Cities Illustrated Pocket Map is an attractive, useful guide to the Twin Cities of Minneapolis and St. Paul. The colorful illustrations show major roads, landmarks, buildings and even the topography of some areas. 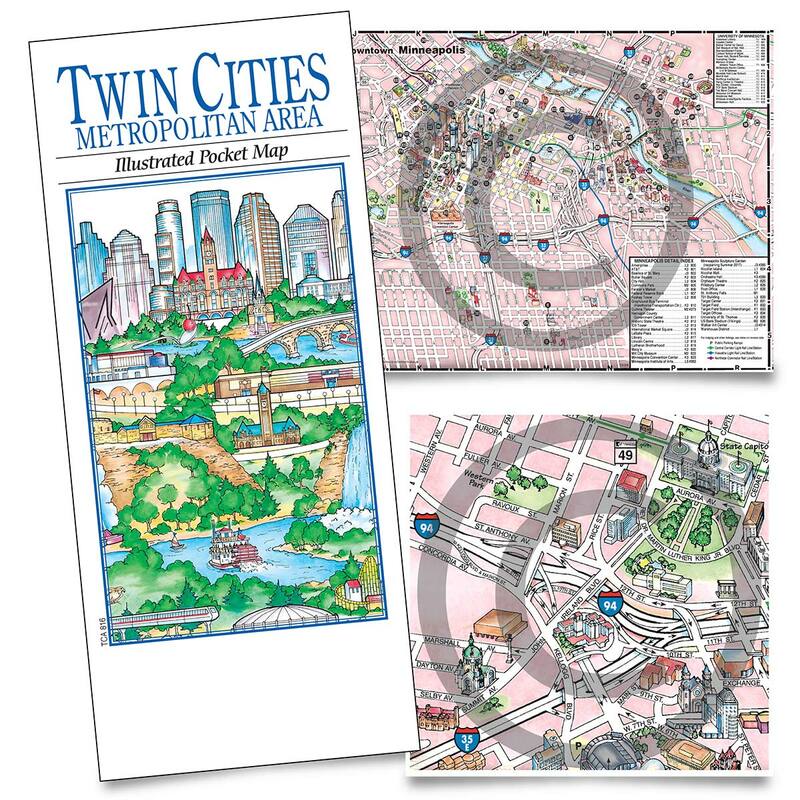 Each Pocket Map has an overall map of the Twin Cities Metro Area, plus a detailed map of the Bloomington-Mall of America-International Airport area, on one side. 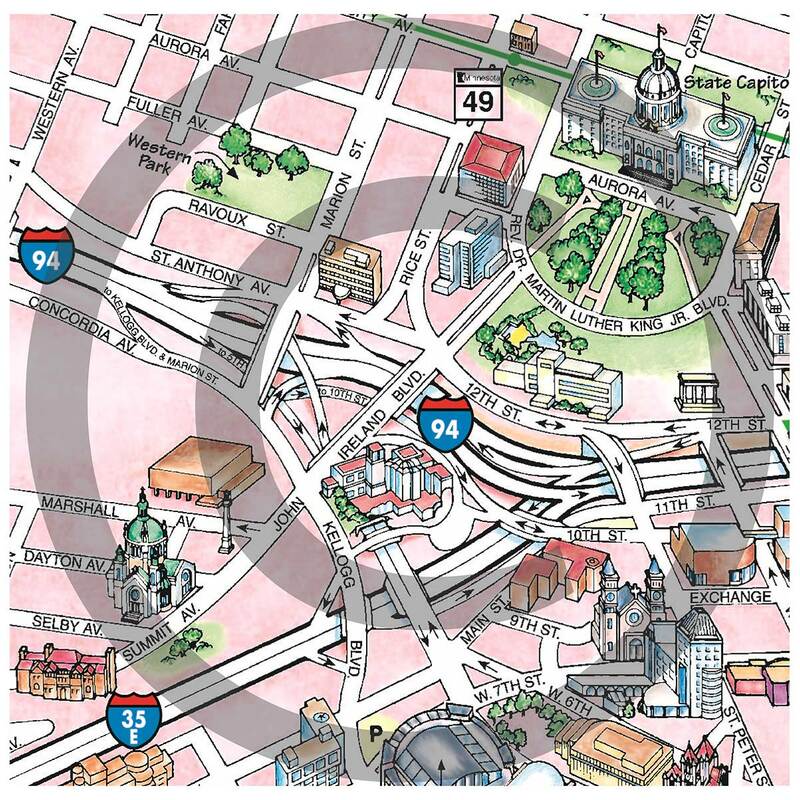 On the other side are detailed maps of the downtown areas of Minneapolis and St. Paul, including light rail lines. 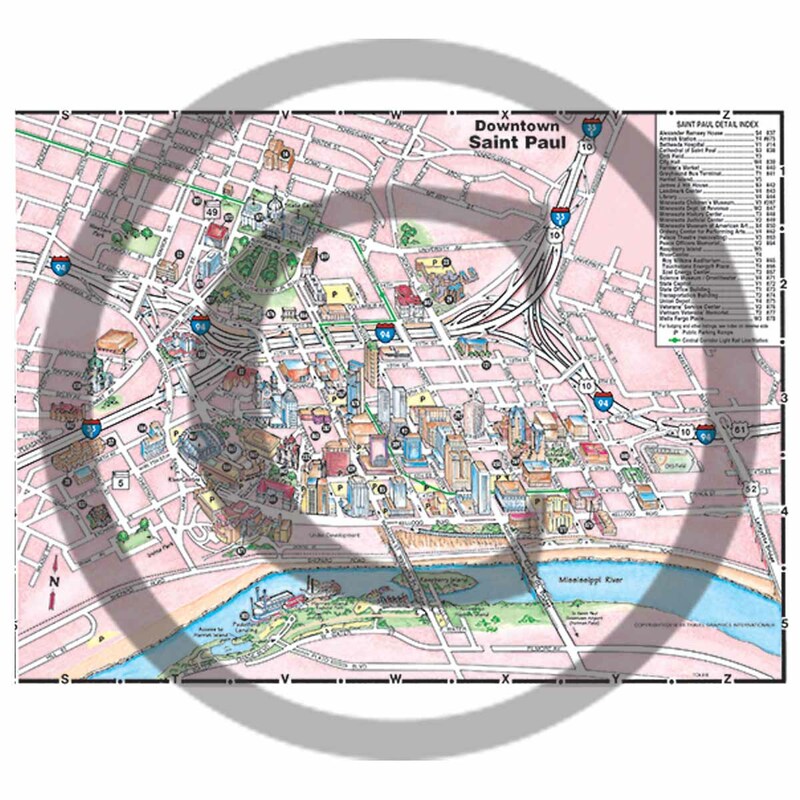 The Minneapolis-St. Paul Pocket Maps are printed on semi-gloss paper sized 17″ x 23″ folded to approx. 3 5/8″ x 8 1/2″. 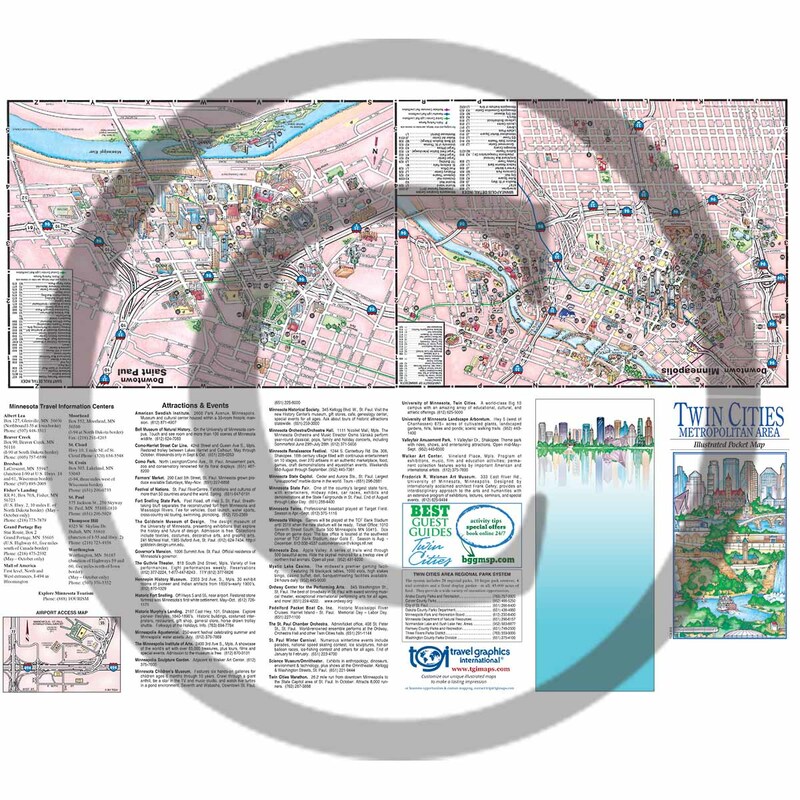 The Minneapolis-St. Paul Pocket Map can be imprinted with a business logo on the front cover or completely customized for your unique business needs. Request a quote for more information on customization and imprinting.